We offer a bar and restaurant service, in the middle of nature. 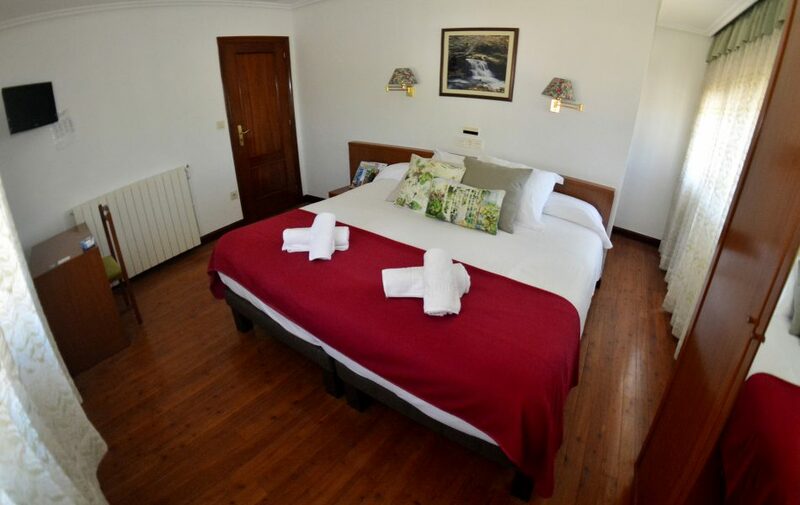 Leave your worries aside and take a break in our 16th century hamlet surrounded by forests and mountains. in the best style of the New Basque Cuisine. 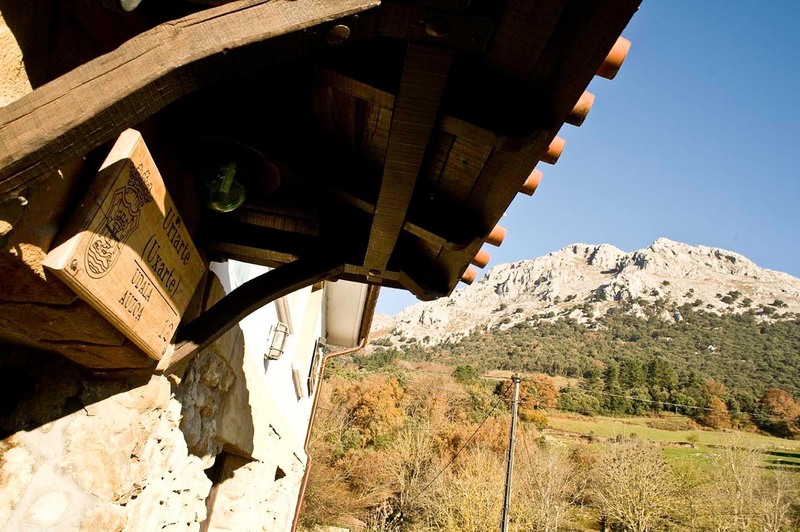 Uxarte is a 16th century farmhouse reconverted to a rural hostel in 1968. After 45 years, we are still taking care of our loyal customers. 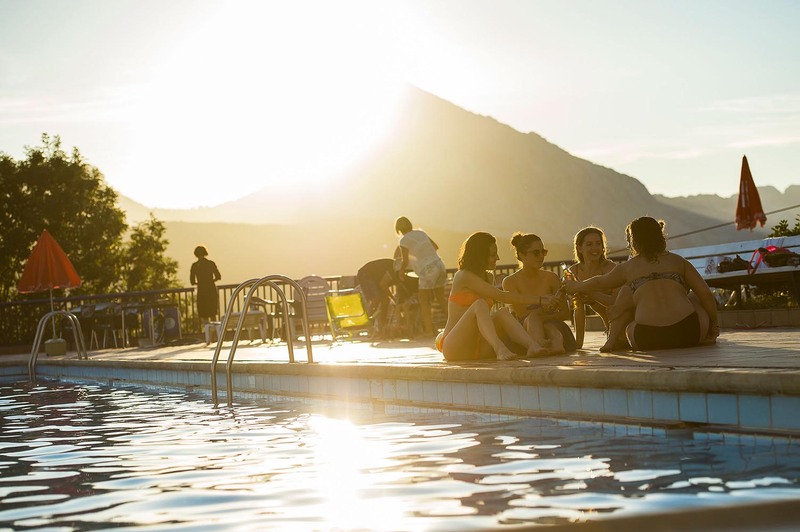 The site is situated above the village in Mondragon, on the slopes of mountain Udalatx, providing unparalleled views of the valley and its mountains with which to enjoy while tasting a delicious meal or dipping in the crystal clear waters of our pool. 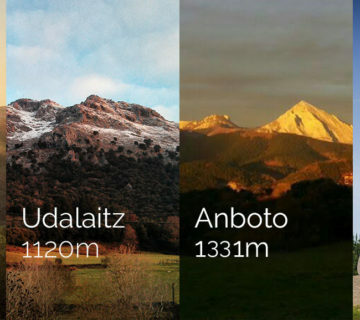 Integrated in the beautiful landscape environment of Mount Udalaitz, nature welcomes us in a unique space and just 5 minutes from the center of Arrasate-Mondragón. Do you need to disconnect? 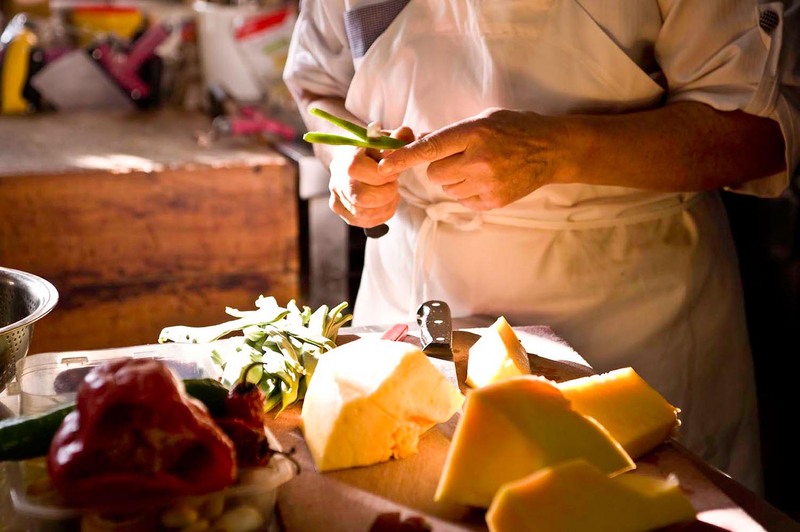 Do you fancy a gastronomic getaway with a charming place? 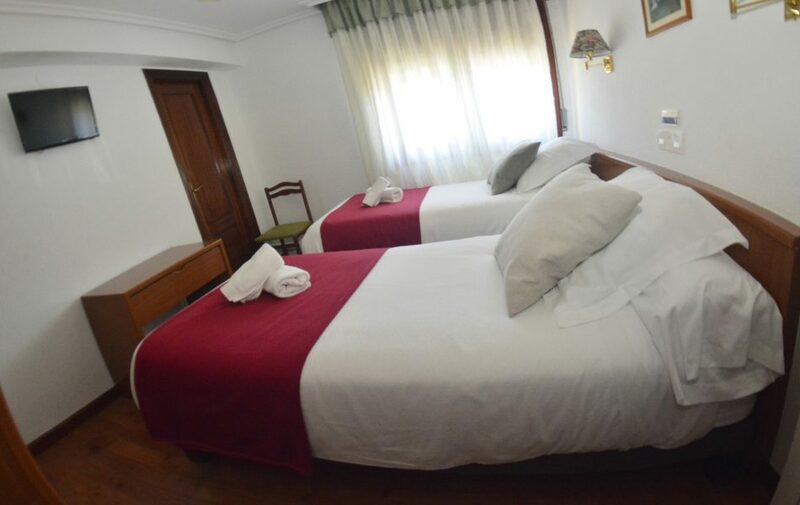 Choose your days and book your stay in Uxarte right now. From our children’s pool, which they will not want to leave !, we thought of the little ones, looking for comfort and fun for all members of the family. A perfect pool day, with our 2 swimming pools, terrace with free sun beds and a bar with drinks and meals service, so you only have to worry about sunscreen! 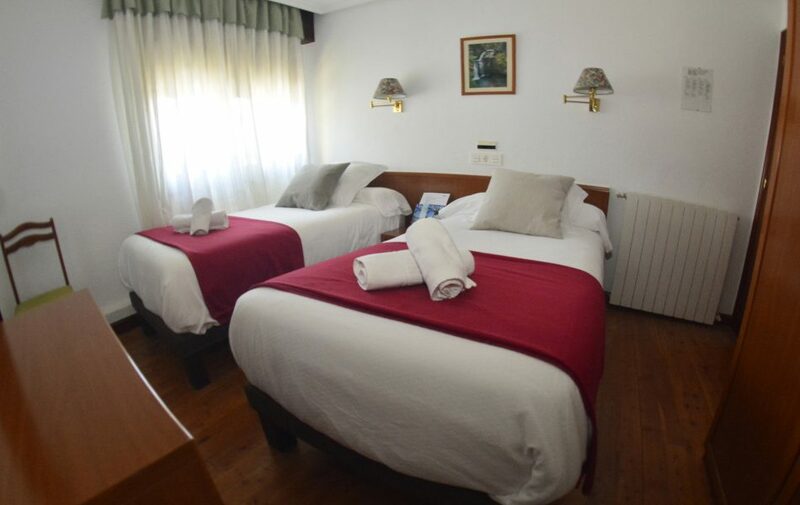 Uxarte is located in the quiet neighborhood called Udala, at the top of Mondragon and on the slopes of Mount Udalatx, just 3km from the center of Mondragon. The village where the origins of internationally known cooperative movement MONDRAGON Cooperative Corporation, among other metal related industries, where established years ago. Its privileged location allows us to isolate and time enjoy the beautiful surroundings at the same time. It is located in the center of the 3 provinces, a few miles away from main cities such as Pamplona, San Sebastian, Bilbao and Vitoria. And extremely close to other cultural gems like The Sanctuary Aránzazu in Oñate, El Pueblo de la Sal in Salinas, Arrikurtz caves, etc. Some of the activities available are horse riding, mountain biking, hiking, climbing, paragliding, mushroom picking, hunting, golf in Larrabea 18 hole field... And many more. 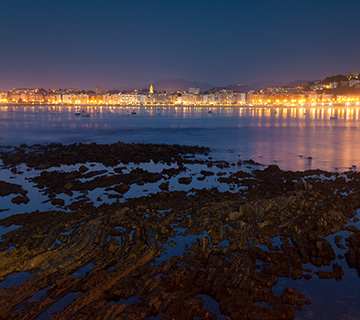 Sustainable cities, bathed by the sea or nestled between gardens and parks, in the Basque Country you will find great gems in their Medieval Helmets and the incredible contrasts of modernity and elegance. 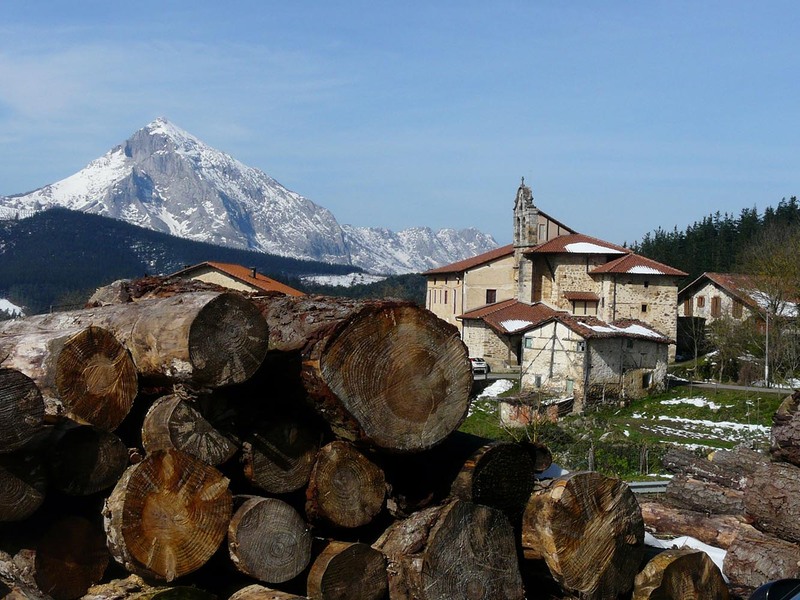 Uxarte is in the heart of nature, the maximum exponent of one of the greatest passions of the Basques. The love of its nature and the enjoyment of it in an incomparable setting. Here is always a good time to eat, talk about food and eat again. 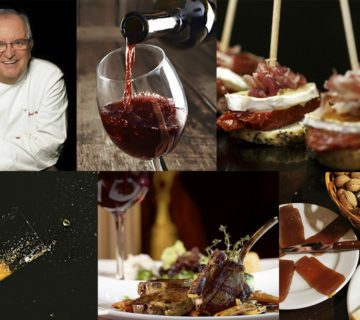 The epicenter of European haute cuisine, which combines traditional flavors, of product, with small jewelry in the form of pintxo and signature dishes. 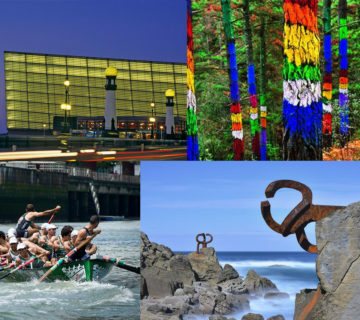 An own universe splashes Basque art, culture and architecture, combining the tradition of Basque sports, with the most avant-garde and modern art. A culture to live it.